Have you ever thought of taking your cat on a hiking or backpacking adventure? Chances are, you haven’t because most cats don’t like to be confined in cat carriers or walked on leashes. Now, with a variety of cat backpacks available, there is a way that you can give it a try. Cat backpacks are becoming increasingly popular with cat owners, and if your cat likes adventure, she might love traveling with you in a cat backpack. Cat backpacks provide cats with great views, comfortable and stable rides, plenty of fresh air, and protection from other animals. For owners, they provide a comfortable and convenient way to carry your cat when traveling or making a trip to the vet. This article will describe some of the best cat backpacks on the market, list their pros and cons, and give you some pointers on what features to look for, how to get your cat used to a cat backpack, and their benefits over traditional cat carriers. With the PetAmi cat backpack, your cat will travel with you in comfort and style. It will fit cats weighing up to 8 pounds. For your cat’s comfort and safety, it features great ventilation to provide airflow and to keep your cat cool, soft Sherpa lining, a safety strap to secure your cat, four large mesh windows, and a sturdy removable base. For your comfort and convenience, it includes waist and chest buckles, side pockets for storage, a top entry point, and is collapsible for easy storage. Made from 600D high-grade polyester, this durable backpack is ideal for frequent trips and is airline approved. A collapsible water bowl is included and it comes in 7 color choices. 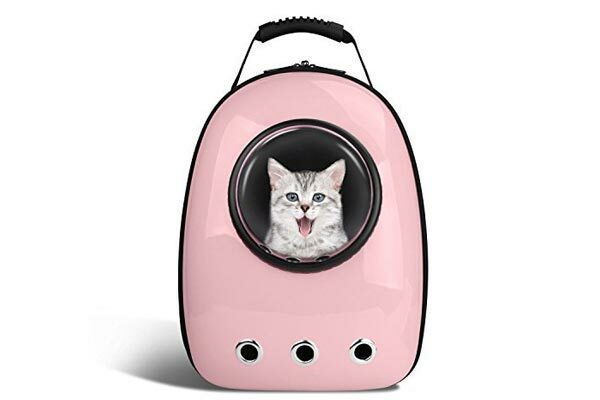 Made by the pioneer creator of cat bubble backpack out of solid PU leather, this sturdy backpack can fit cats weighing up to 12 pounds. Your cat will love the views, the solid PU leather construction, the cute semi-sphere transparent dome window, the ventilation holes, and the two circular mesh windows. 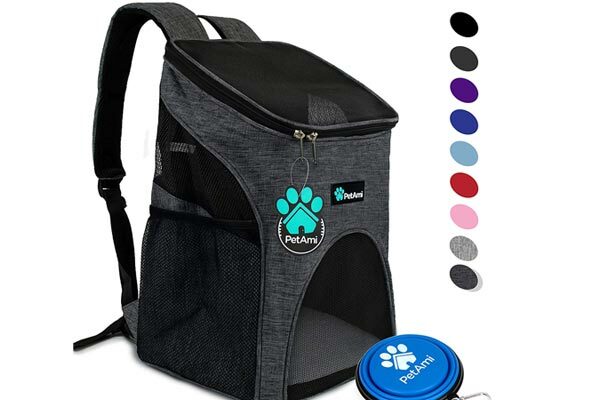 You will love that this backpack has several entry points to make it easier to get your cat in, that it has a place to attach a leash for safety, and that it has adjustable wide padded shoulder straps for your comfort. Made from eco-friendly, durable fabric, it also includes a top handle for carrying, a switchable mesh panel, and a soft washable pad. It is approved for most airlines, scratch resistant, and comes in 8 attractive colors. 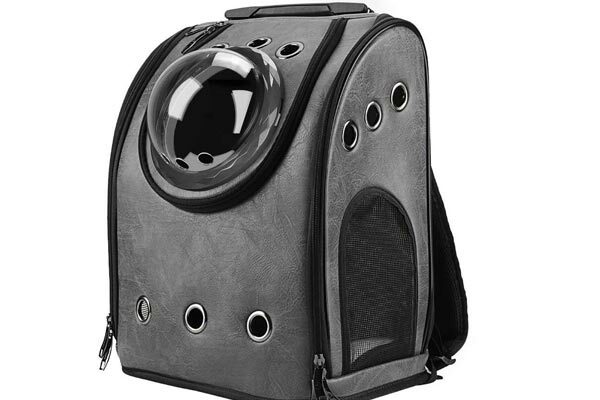 Your cat will look like a little astronaut in this space capsule backpack by Azone. Made to hold cats that weigh 10 pounds or less, this backpack is waterproof, lightweight, and durable. The breathable Oxford fabric will keep your kitty cool and comfortable, and the giant window provides a great view of the world. Your cat will also like its sturdy yet soft velvety base and roomy interior. You will love how easy this is to put together and its safety features. There is a ring for a leash and a built-in security lock. The eco-friendly polycarbonate construction resists impact and high temperatures. It is comfortable to wear with adjustable shoulder straps, can be worn on your front or back, is easy to clean and fashionable, and comes in a choice of vibrant colors. 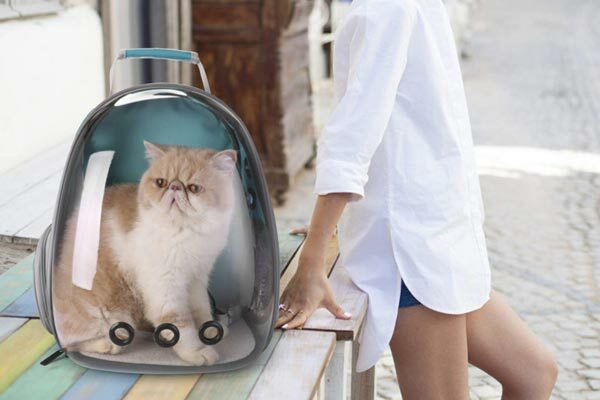 Made by Lollimeow, this transparent backpack provides your cat with a 360 view of the world. It is suitable for cats weighing up to 12 pounds and airline approved. The full view might help alleviate the anxiety of traveling for some cats. Large ventilation holes on the side will keep air circulating, and built-in locking mechanisms will keep your cat safe. Made from breathable and durable canvas and acrylic, this backpack is lightweight and water resistant. The brightly-colored space capsule-like design is cute and eye-catching. The hard top and base provides protection for your cat and keeps her feeling safe and secure. The Lemonda backpack/handbag’s bubble design is cute, fashionable, and functional. It fits cats up to 14 pounds in weight, and it is waterproof and lightweight. Cats like to look out the transparent window and interact with the world around them. Made of high-density acrylic and breathable canvas, this backpack can be worn on front or back. It has great ventilation, a huge bubble window with ventilation grommets that can be replaced with mesh, a velvet pad for comfort, and a built-in lock for safety. It is comfortable to wear, has padded shoulder straps, keeps its shape, and comes in a variety of fun colors. According to Jackie Kelly of PetMD, getting the right cat carrier depends on what type of cat you have. 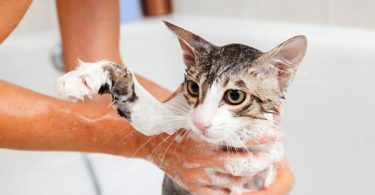 First, you will want to check your cat’s size and weight to make sure that your cat will have enough space to move around comfortably and to see out the window. Weigh your cat to make sure the backpack is strong enough to hold your cat securely. If your cat exceeds the weight limit, it might affect the safety of the backpack. 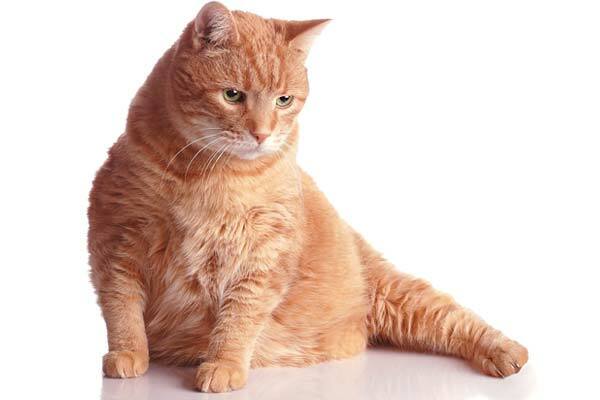 Most fit cats up to 12 pounds, but some are made for smaller or larger cats. 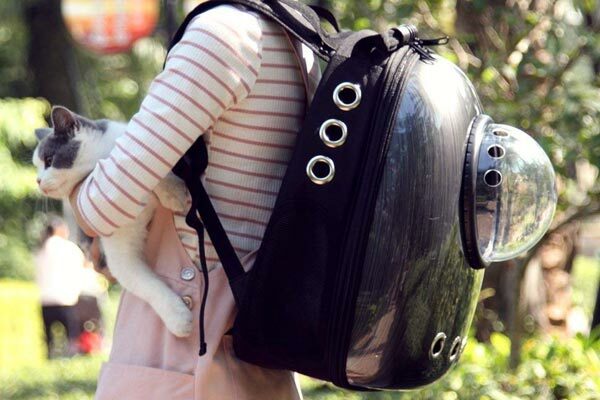 If you have a very large cat, you might want to consider getting the Fat Cat backpack that holds cats up to 20 pounds. Your cat’s personality is also a factor. If your cat is adventurous and likes to see the world, consider getting a backpack with more windows and visibility. This type of cat will appreciate a bubble window that provides an unobstructed view of her surroundings. If your cat is shy or doesn’t like confined spaces, a backpack might not be appreciated. 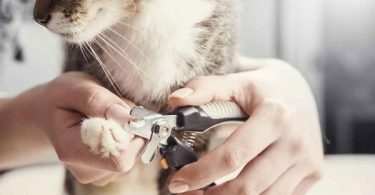 Comfort and safety for your cat are important considerations. For your cat’s comfort, choose a backpack with plenty of holes for ventilation and mesh, a solid base that won’t sag, and soft cushioning. Look for a backpack with a sturdy frame that won’t collapse so your cat won’t get injured or escape. For safety, be sure it is durable, high quality, solid, and escape proof. The fabric should be strong and resistant to tearing, and mesh should be tough so your cat won’t be able to claw through it. It should have a place to attach a leash. Be sure that the zippers lock, that seams are secure, and that there is a strap to keep it closed. Using a harness and leash is a good extra measure of security, but if you do so, be sure the leash is long enough so your cat can move around. This Adventure Cats article shows how to leash and harness train your cat. Functionality and versatility are also important to consider. Some cat backpacks have pockets for extra storage. Some can be used either front- or rear facing. Some come with extra features like water dishes, wheels, or can double as car seats. Also, look for backpacks that are easy of use and to clean. Wide entry points or multiple entry points make it easier to put your cat inside, and removable pads and covers make it easy to clean. If you will be using your cat backpack for hiking and outdoor adventures, it will be important to get one that is comfortable to wear and easy to carry. Look for a backpack with wide and padded shoulder straps, a chest strap, and waist strap and that is waterproof and lightweight. If you are planning to take your cat with you on flights, be sure that it is airplane compatible. A final consideration might be style and color. Suzy Strutner writes in the Huffington Post that cat backpacks come in a wide assortment of shapes, styles, and colors. Getting a cool looking and vibrantly colored cat backpack will get you plenty of looks, comments, and questions. 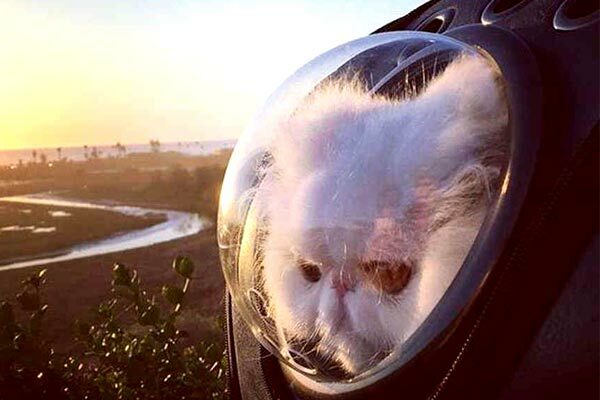 Carrying your cat around in a space capsule is a great way to get attention and have some fun. How can you get a cat used to a backpack? Getting a cat used to a backpack will probably take some time and patience. Ken Lamprecht of PetMD writes that getting your cat used to a carrier when young is the best way to acclimate your cat to it. Andie Furry of Your Cat Backpack suggests treating the backpack like a toy. Put toys and treats in the backpack to entice your cat to check it out and then give your cat time to get used to it. Leave it out so your cat can explore, play, and nap inside of it. When you first put your cat inside, don’t keep it closed for long. Start out with short walks and gradually build up to longer ones. In order to avoid negative associations, don’t use it for trips to the vet at least initially. Use it several times a week, and reward your cat with treats after you take her out for a walk. As this YouTube video shows, opening the backpack with your cats is a good way to get them interested in checking it out. Is a cat backpack carrier better than a traditional carrier? A cat backpack has many advantages over a traditional carrier for both you and your cat. For you, it will be easier to carry because the weight is more evenly distributed rather than being concentrated on one side of your body. It will also give you more freedom of movement and free up your hands. The convenience makes it easier to bring your cat along with you on outings. Many cats prefer a backpack, and if your cat is happier, you will be too. Most cats will prefer a backpack because they can see better out of the windows, they will be higher up, and they will enjoy a smoother ride. They will feel safer and less intimidated because they will be able to see clearly and won’t be swinging around. Cat backpack carriers also have the advantage of being unique, adorable, stylish, and fun. According to REI, once cats get used to traveling in a backpack, most will enjoy the adventure of seeing the world. Cat backpacks are easy to carry, practical, and safe. Most cats adjust to them over time and come to enjoy them. More versatile and better looking than traditional carriers, cat backpacks are more comfortable for you and for your cat. It is no surprise that they have been growing in popularity ever since a photo of a cat in a bubble pack went viral a few years ago.